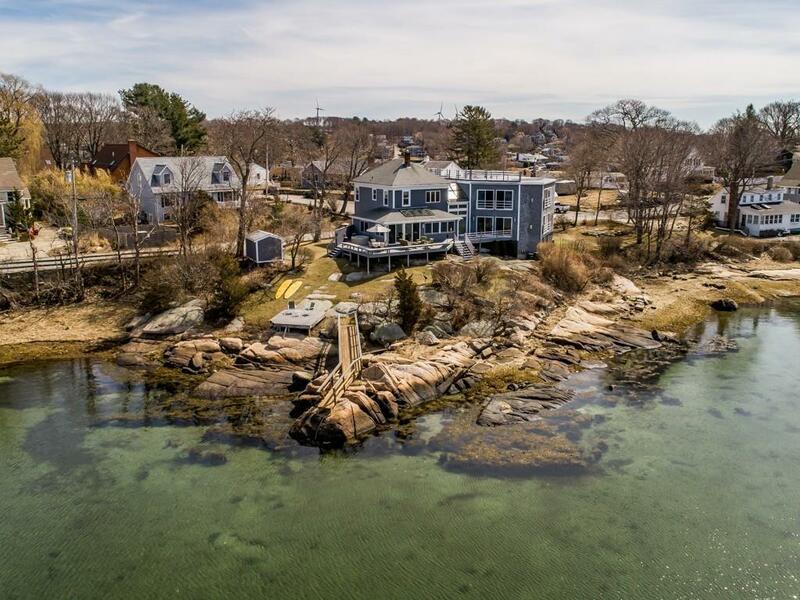 Bathe your soul and senses in this waterfront contemporary perched atop a rocky and picturesque headland on the Annisquam River. Ideally positioned on a protected cove to maximize sunset and water views from all rooms, the home offers rare separation from neighboring homes and features a flowing, open floor plan. A well appointed sun-filled kitchen is flanked by living and dining areas with floor-to-ceiling windows and unobstructed views of the swerving riverbanks and everchanging vistas, while an expansive deck invites entertaining or simply blissful enjoyment of the homeâs spectacular natural setting. A truly lavish master suite offers river views on three sides, with gas fireplace, separate sitting area, spa bath and adjacent walk-in closet and dressing room. Outside, a dock and walkway offer easy access to swimming, boating, fishing, or clamming at low tide, and a waterside deck beckons at sunset. A rare and not-to-be-missed opportunity to experience the finest in seaside living.